FastPlants are a range of pre-defined crushing and screening plants that is made for the most common mining and quarry applications, reducing waiting time, maximizing uptime and increasing profitability. 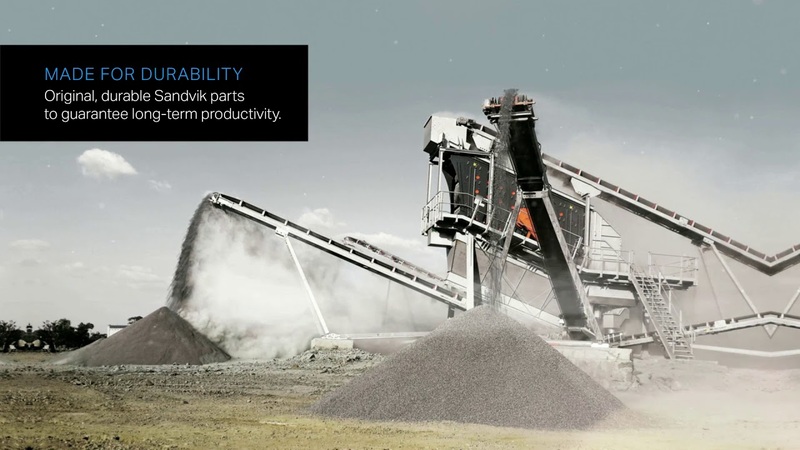 Sandvik FastPlants are designed with skid-based solutions to minimize time to production. Plants are shipped as one delivery to reduce lead-time. Every element of each FastPlant™ is chosen specifically for your application. This guarantees higher productivity and longer lifespan of your equipment. Simply choose the crushing and screening plant that matches your needs, order, install and start crushing. There’s no need to spend hours designing or modifying your solution. Sandvik 365 delivers value throughout the entire lifecycle of the plant, to keep your operation running productively and efficiently year-round. By answering any of the questions below, we will narrow down the FastPlant™ offers to become relevant for you. Stop downtime in its tracks. Sandvik 365 gives you the productivity and peace of mind your business needs. Sandvik 365 for FastPlant™ offers technical assistance, commissioning support and extended warranty. Sandvik SmartPlants are smart, modular plants ready to be configured for maximum productivity. Configure your SmartPlant to meet your exact needs by mixing and matching the SmartStations that will add value and productivity to your operation. Sandvik CustomPlants are fully-tailored crushing and screening solutions, tailor-made to your business’s exact needs. A focus on Early Contractor Involvement provides you with a complete partnership from idea to execution.